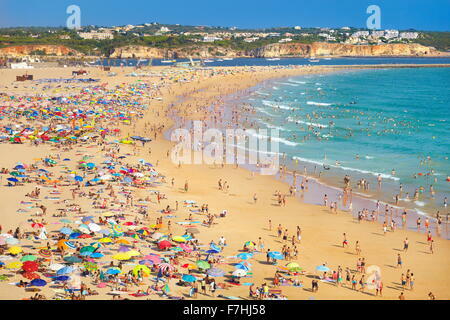 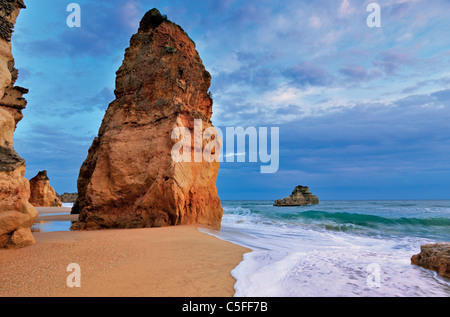 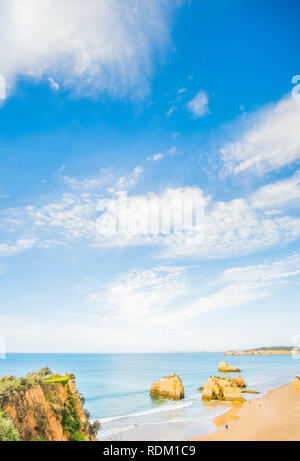 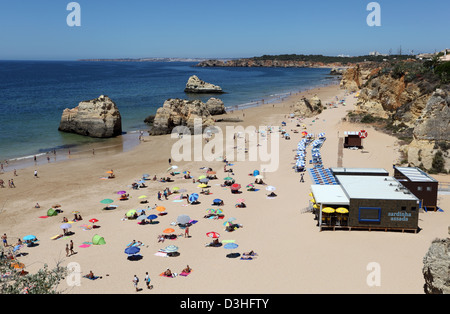 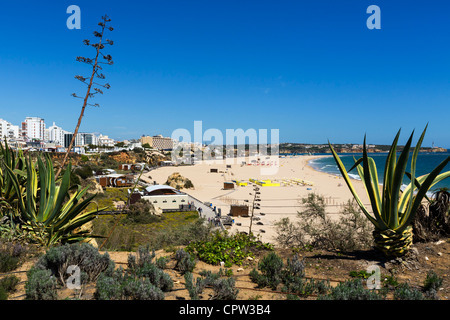 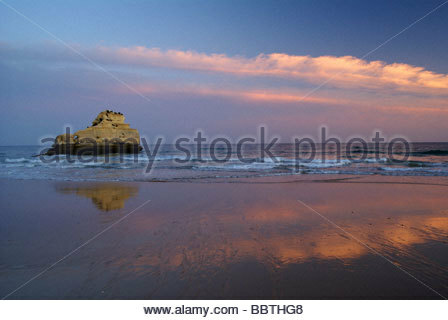 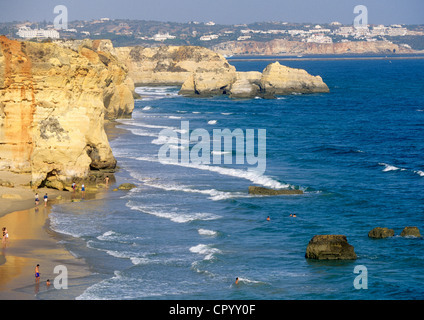 Beach and rock formation known as Praia da Rocha in travel destination Portimao. 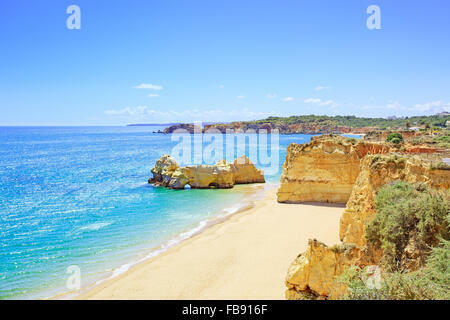 Algarve, Portugal, Europe. 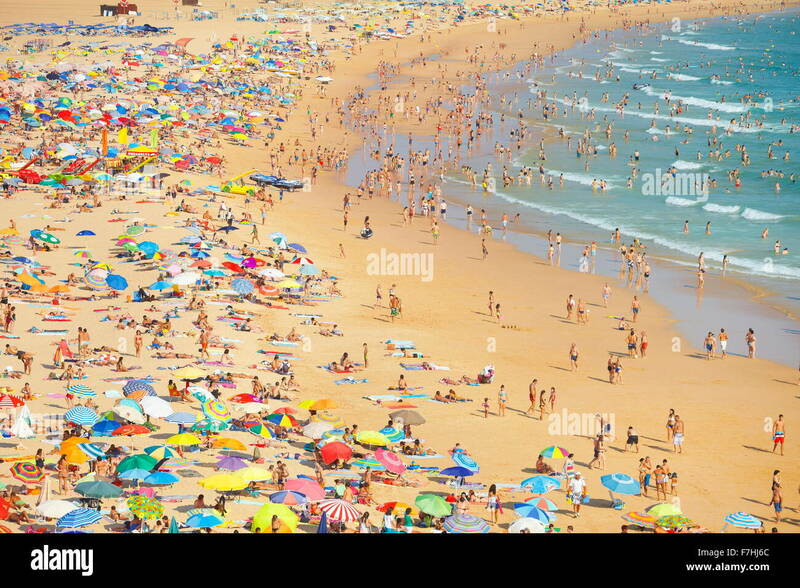 People walk along the beach. 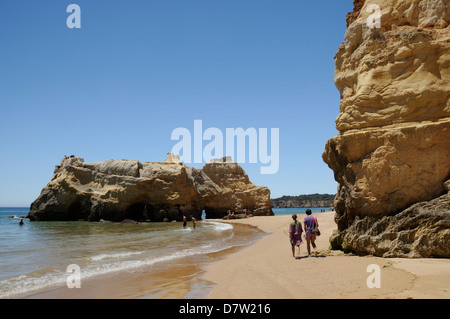 Mom and daughter build a figure from the sand close to Praia Da Rocha. 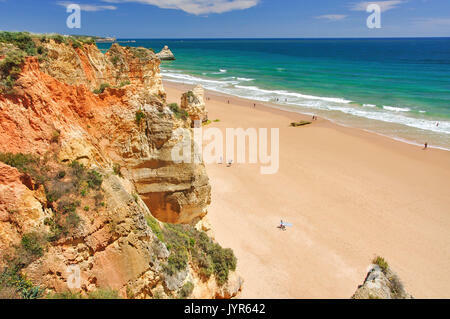 Portimao, Algarve, PORTUGAL.